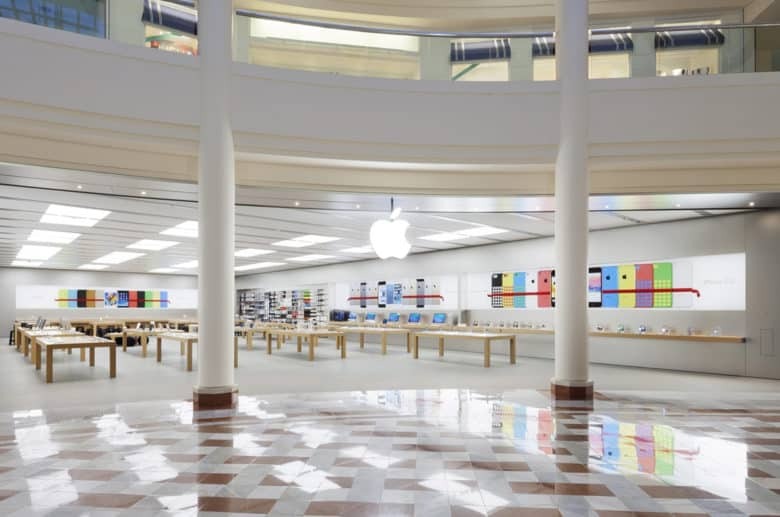 The Stonestown Apple Store in San Francisco, which had over 300 iPhones stolen. iPhone X will be even harder to obtain in San Francisco today. Three thieves stole more than 300 models worth over $370,000 from a UPS truck parked outside an Apple Store. Those who pre-ordered should still get theirs on time. Large lines can be found outside Apple Stores around the world this morning, with fans hoping to be the first to get their hands on iPhone X. Apple promised handsets would be available for walk-in customers, though supplies are expected to be constrained. There will be an even shorter supply at the Stonestown Apple Store in San Francisco, which is down 313 units. They were stolen off a UPS truck by three “husky” men driving a white Dodge van between 11:15 a.m. and 11:30 a.m. PT on Thursday. The total value of the haul is said to be over $370,000, with iPhone X starting at $999 for 64GB of storage, and $1,149 for 256GB of storage. It is not confirmed that all models were indeed an iPhone X, however. The suspects haven’t yet been caught, according to CNET, which says those who pre-ordered will still get their handsets on time. Many of those who are turning up to the store today without a pre-order are likely to be leaving disappointed. According to recent reports, iPhone X is already in incredibly short supply due to manufacturing issues surrounding its Face ID components. Every stolen iPhone was cataloged with a description and serial number, which made the police report one of the “fattest” ever seen by Sgt. Paul Weggenmann. The police are now working alongside UPS to investigate the theft. They have a photo to work with, thanks to an eagle-eyed janitor who saw the men unloading boxes from the UPS truck into their van.